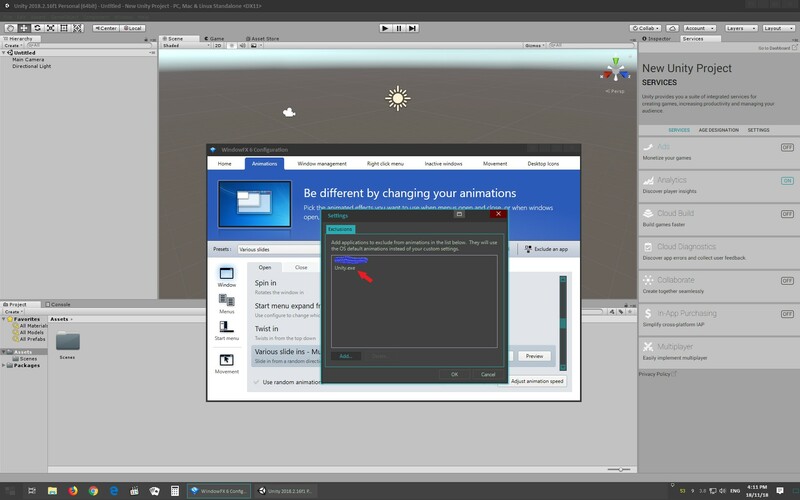 When i have WindowFX(6.03 and 6.04 beta) turned on, unity(2018.2) is only white and have no content if its not in a separate window. 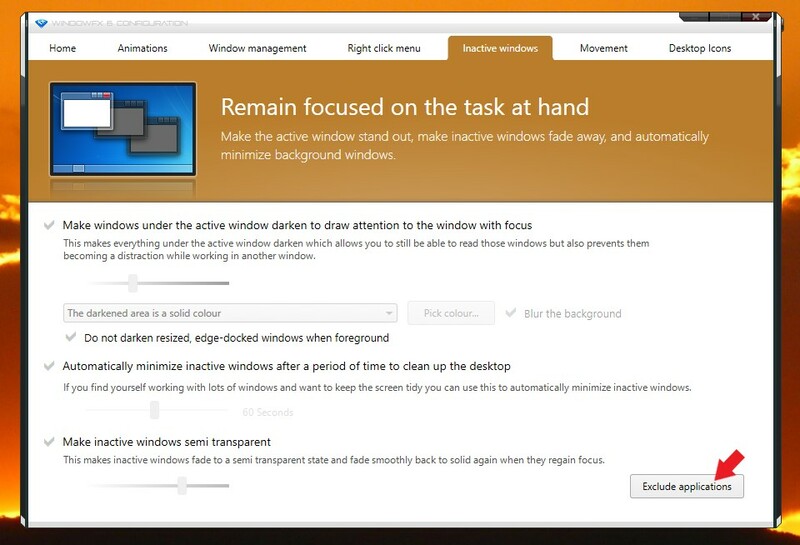 Is there a way to whitelist a program like in WindowBlinds in WindowFX? Sorry to hear you are having issues. Have you try the "Exclude an app" functions? Thought I'd post as I've been struggling with this issue for 2 weeks, only to just discover WindowFX is the problem. I've tried "Exclude an app" as suggested above but that does not seem to solve the problem, the only solution seems to be to turn it off or uninstall, which is unfortunate as I purchased it to use it. 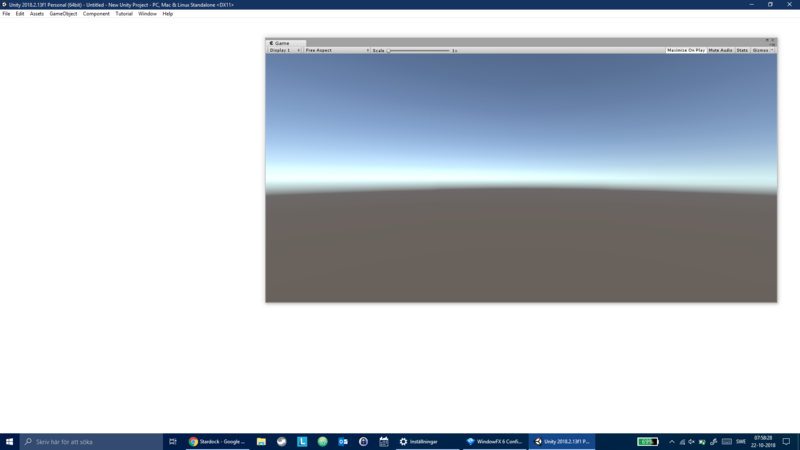 I am not a unity user but I did installed and tested it on my windows 10 system. It look it working. 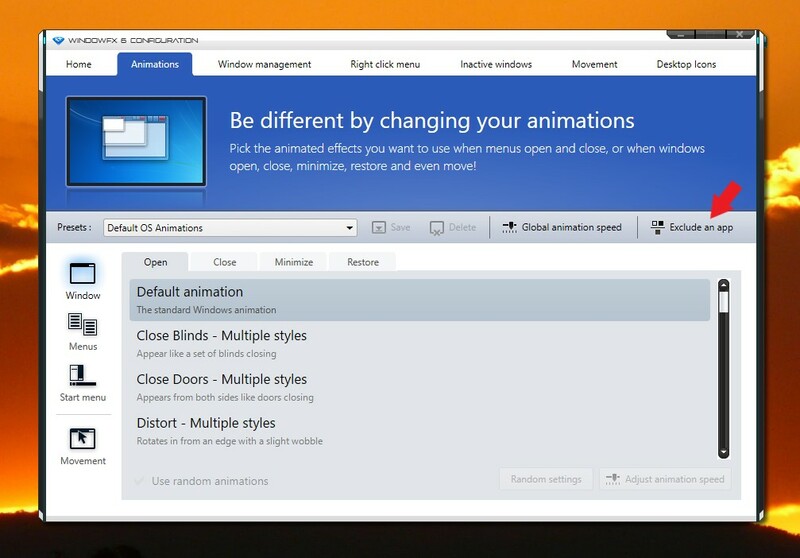 I just need to exclude it in WindowsFX close and reopen unity. Please try again with version 2.16f1 and a reboot before testing might help. Hi Basj, the reboot seems to have resolved the issue, thank you.